Murrells Inlet, South Carolina is a known destination for “Inlet Living.” Situated just South of Myrtle Beach and Surfside, vacationers look to Murrells Inlet for a relaxing pace of life. 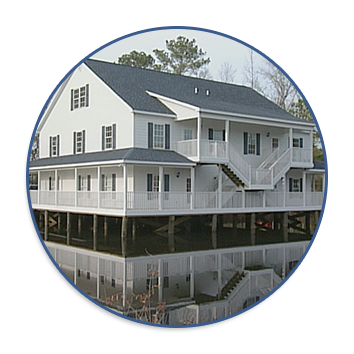 Hosting Artesian Row, Murrells Inlet prides itself in local and regional culture. The restaurants and shops set along the marsh encourage outdoor living with a small town feel. But this community is also growing as well. New housing is booming throughout Murrells Inlet, exposing more and more people to its Southern Charm. To better serve Myrtle Beach, Murray Law Offices chose Murrells Inlet as one of our 4 locations. Whether you are looking for legal services in Georgetown or Horry County, our South Carolina attorneys are here to represent you in case of an accident, injury, criminal charge, traffic violation, real estate closing, estate planning, and family law needs. Have you found the perfect residence and are ready to purchase? Are you looking at signing a contract? For your real estate closings, wills and business formation needs, ask for managing attorney Michael McDonough.